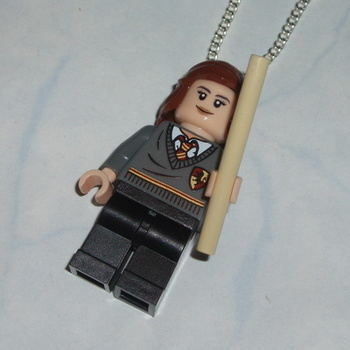 Hermione, Harry Potter, Lego pendant. Very fashionable and fun to wear Lego MiniFigure Pendant. This is a very lovley Hermione from Harry Potter in her Griffindor uniform with her Wand.